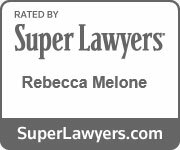 What you should know about child visitation laws in Virginia | Melone Law, P.C. When a marriage fails, children are often stuck in the middle of the divorce. Custody battles, access, and visitation often cause untold complications, especially for children who may already be insecure and fragile at this time. It is important to understand each aspect of child custody and child visitation laws in Virginia. In this blog we will discuss custody, visitation, the best interests of the child and when it’s time to hire an attorney. The child in question lives or goes to school in Virginia (the home state of the child) and the parent also either lives, works, votes or pays taxes in the state. The parent filing for custody lives in Virginia and the child has lived there within the past 6 months. However, the child is no longer in the state because another person has declared custody and has taken them out of state. At least one of the parents of the child has a large connection to Virginia in terms of living, working or going to school in the state. Records or witnesses should also give evidence regarding present or future care, personal relationships, training, and protection. The child is abandoned but physically present in Virginia. Alternatively, emergency protection for the child is required due to being threatened, neglected or abused. Virginia is handed jurisdiction by another state. Virginia will have jurisdiction if the Uniform Child Custody Jurisdiction Act (UCCJA) does not apply and no other state has jurisdiction. 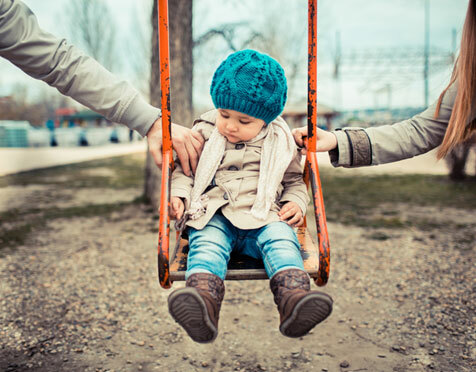 A parent is under the personal jurisdiction of a court who has removed the child. The UCCJA has been adopted by Virginia and states that jurisdiction in custody cases is given to the location most closely associated with the child. If parents verbally come to an agreement regarding custody and visitation rights, which both parties believe are fair, they will be allowed to write their own stipulation and consent order. This is a good precaution to avoid future conflicts as both parties will be held to the agreement by the court. What is a stipulation? This is a statement from both parties stating the agreement that has been reached between them. A consent order entitles the judge to approve the agreement and gives it the power of a court decision. In fact, any issue that might lead to conflict should be covered under these stipulations. If the parties are struggling to reach an agreement, then mediation should be considered. A mediator can help draw up an agreement both parties see as fair, as well as one that will last. Mediation sessions take place privately and are never reported to the judge. A mediator that is an attorney or retired judge is the best option in this regard as they will be aware of all legal implications and requirements. Virginia law allows for . Take note, the courts will always put the best interests of the child first when determining a custody type for each unique case. The responsibility for both the care and authority of a child falls to both parents irrespective of where the child lives or spends the majority of his/her time. Here the physical custody, as well as the care of the child, is shared by both parents. This can be broken into alternating months, weeks, days, or whatever timeframe the parties agree to. Here, only one parent has physical custody of the child. They also have the power and authority to make daily decisions that pertain to the child. The other parent is only allowed visitation. Visitation is granted by a court order to a parent who does not have custody of a child so they can have contact with the child. A parent with visitation rights does not have authority to conflict with the long term decisions and policies of parents with legal custody. In rare cases, visitation may be restricted or supervised. The short answer is always. Although an amicable relationship might exist between two parents, it is wise to hire an attorney, especially if the other party has already done so. If the situation involves contested custody rights, or becomes hostile and highly charged, having an attorney on your side is invaluable. Your attorney will provide you with effective legal counsel and professional advocacy for both you and your child. At Melone Law, we’ll take the time to understand your case and help you achieve the most favorable outcome. As family law attorneys, we understand the ins and outs of this practice area and the Virginia court system. Should you have any questions, need assistance with a child custody case, or have child visitation problems in Virginia, please contact us today.